I hope you’re all having a great summer and have been able to escape the heat. This summer I’ve been working outside as a lifeguard and it can get pretty warm out, but I’ve been loving ice cold smoothies to cool down! It’s no secret that I am already a smoothie lover (who isn’t?) but summertime smoothies are by far the best. After all, you can’t beat a nutrient packed drink full of all the vitamins you need for the day that also tastes great! 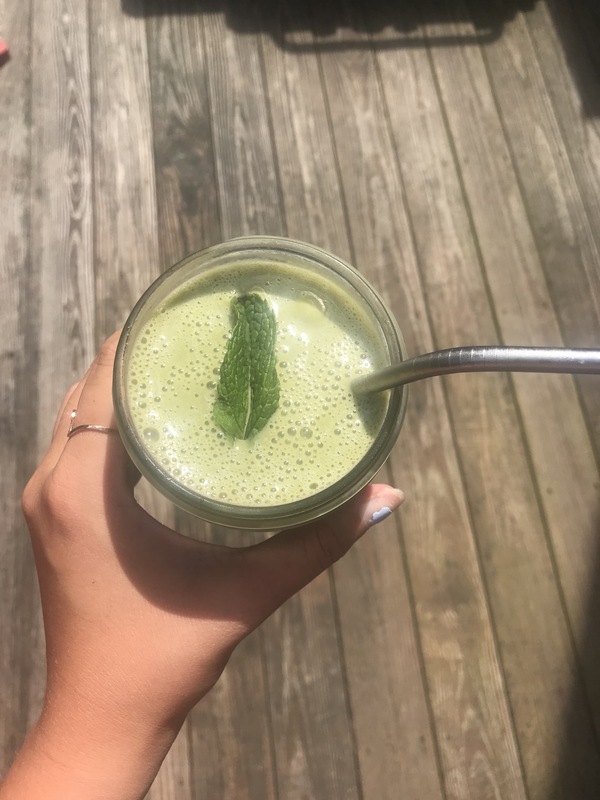 In addition, this particular smoothie has frozen cauliflower as a great addition! While this may sound strange, it has no taste in the smoothie and gives it a thicker, more milkshake like texture. It also can easily be dairy free for those with allergies! Add all ingredients to your blender and blend on high until you reach a thick and milkshake-like consistency. Enjoy!